Set in a small Victorian country town during the week between Christmas and New Year, Joely invites best friend Frankie for a holiday at her Aunt and Uncle’s farm. Joely introduces Frankie to her country cousins, Thommo and Mack, who both begin to compete for the beautiful Frankie’s attention. Tensions rise further when local bad boy, Rory, decides to make a move on both girls. When it is revealed that Rory has been leading the girls on, without the other knowing, hidden jealousies threaten to shatter their friendship. The story is written in third person omniscient and told mainly from Frankie and Joely’s perspectives. The constant change in point of view gives a fascinating insight into the complicated dance between teenage girls as they explore the intense love they feel for each other along with equally strong feelings of annoyance, jealousy and competiveness. The rural town setting, the stifling heat, dust and flies add a believable and uncomfortable atmosphere to the story as these two girls attempt to navigate their personal problems. Mother/daughter relationships are also explored with Frankie’s aloof and unreliable mother and Joely’s anxious and overprotective mum nicely contrasted with the warmth and tenderness of Joely’s Aunt Jill, whose kitchen and home cooking provide a refuge for the girls. 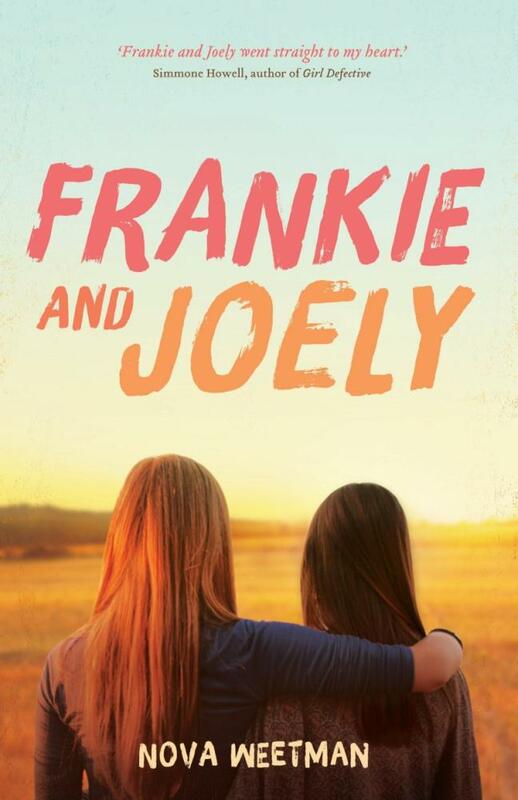 The novel gives interesting insights into both Frankie and Joely’s struggle for self-awareness in a world filled with boys, family problems and testing emotions. It also reminds older readers of the power and importance of first friendships. This is an honest and beautiful story about female relationships aimed at junior to middle teens. On her webpage, Nova Weetman states her goal as a writer is to: “Write stories that snuck into a reader’s heart so they’d fall in love with them.” She has certainly achieved this with Frankie and Joely.